American Sports in Europe: Whatcha mean I can't park my Winnebago on the infield? Whatcha mean I can't park my Winnebago on the infield? The Formula One World Championship. Part One. I am by no means a gearhead, but I have always followed to some extent motorsports back in the States since I was younger. I think my love for anything fast and branded with Marlboro livery all started when an aging Al Unser, Sr., from 20th on the grid, worked his way up through the pack to pass pole position driver Mario Andretti, suffering from mechanical problems, late in the race to win his 4th Indianapolis 500. I was 9 years old and hooked on CART (Championship Auto Racing Teams, now-defunct). 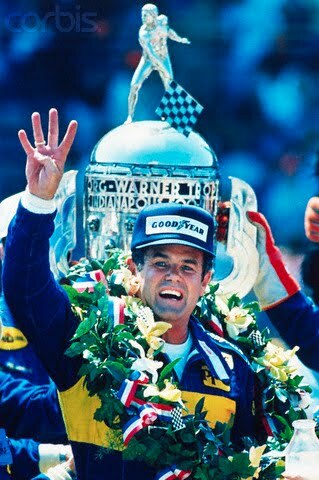 Al Unser, Sr. at 48 years young drove for Penske for another 3 years with mixed but not winning results until losing his race seat in 1990. From there I followed the Unser racing family and became a fan of his son, Al Unser Junior. With close CART campaigns in '88 and '89, Little Al finally won the championship in 1990 and the Indy 500 for the first time in 1992. My affinity for Marlboro, Mercedes-Benz and racing began in 1994 when Al Junior found a seat at Marlboro Team Penske Racing. 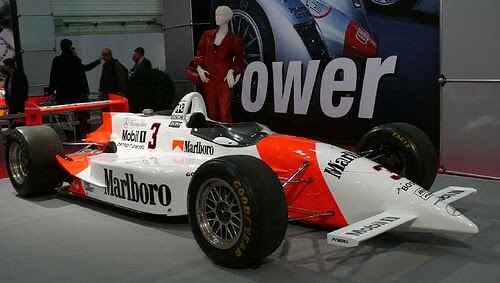 The 1994 Penske PC-23 was the most beautiful automobile I had ever seen and I soon began smoking Marlboros to match the red and white stripes of my favorite racecar. With teammates Emerson Fittipaldi and Paul Tracy, Penske that year was arguably the greatest and most dominant race team in American history with 12 wins out of 16 races, collecting 10 poles and 28 podium finishes on their way to the championship including Al Unser, Jr.'s second Indy 500 and a Paul Tracy win at Laguna Seca for which I was in attendance. In 1996, CART split into two separate race series called Champ Car and Indy Car and my interest temporarily waned from motorsports as the mindlessness of NASCAR and the disappointment over the former CART governing body left me with something to desire. The following year a small cable channel, Pacific Sports Network (now Comcast Sports) began to broadcast Formula One races. I don't recall if they were live or tape delayed, only that some guys named Villeneuve and Schumacher were battling it out, the cars made a strange high pitch whine, the tracks were Grand Prix style like Laguna Seca which I love, and there was a huge Marlboro logo on a Ferrari! I quickly developed another addiction; digging up info on the championship series' TV schedule, teams, and drivers which was not so easy in the cradle days of the Internet. I switched allegiance from Mercedes-Benz to Ferrari since I was first and foremost a Marlboro addi... er... fan but it wasn't difficult since I am descendant from the Ferrari family (if my Great10 Grandmother counts). And so a Tifoso was born. For those who don't follow European football (soccer) or Formula 1, Tifosi (pl.) is Italian for fans of Ferrari and/or Italian football clubs. The seasons of 1997, 1998, and 1999 were heartbreaking years with Michael Schumacher receiving a controversial championship disqualification, a second place finish after a strong fight and a season ending broken leg respectively. Adding insult to a literal injury, Eddie Irvine the other Ferrari driver finished second by only 2 points in 1999. 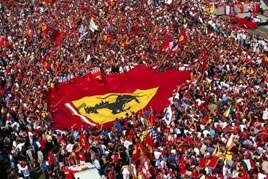 I was however still a proud Ferrari supporter and they won their first constructor's (team) championship in 16 years. Unfortunately as quickly as God gaveth me F1, he tookth it away as the Pacific Sports Network was sold and the new operators decided (probably rightfully so) not to pay the exorbitant licencing fee for a sport that is on at 5am and not particularly followed by the Anheuser Busch crowd. I was shattered. It was time to move to Europe. A move to Europe, the rise and fall of Schumi and Scuderia Ferrari. Next time on ASIE.